CPDP2018 offered 85 panel sessions with 420 international speakers from academia, public and private sectors and civil society. CPDP2018 received 1110 registrations in total! The conference was attended by over 1000 attendees from 55 countries and over 70% of the attendees coming from outside of Belgium. Besides the general programme, CPDP2018 also offered several side events such as open debates, workshops, PechaKucha performances, and art exhibitions. Buy the book Ronald Leenes, Rosamunde van Brakel, Serge Gutwirth, Paul De Hert, Data Protection and Privacy, Vol. 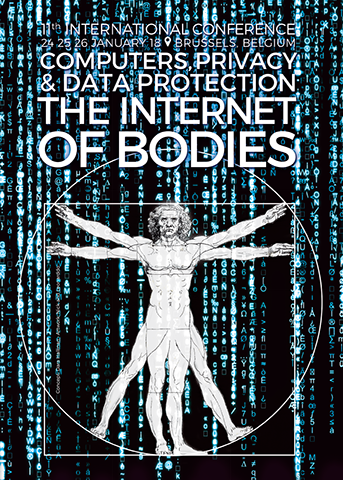 11, The Internet of Bodies, Oxford : Hart Publishing, 2018. A huge thanks to our partners, sponsors, participants and everyone that helped make our 10th edition a memorable one. 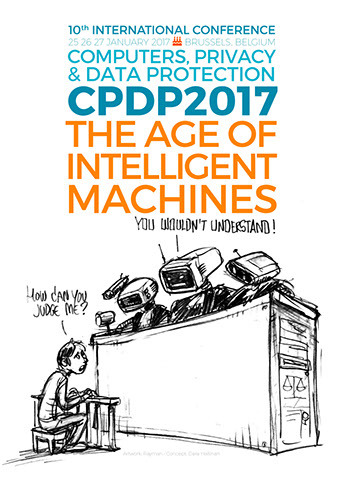 CPDP2017 received 1024 registrations! The three-day conference offered participants 78 panels and, workshops and special sessions with 383 speakers from academia, public and private sectors and civil society. Buy the book Leenes, R., Van Brakel, R., Gutwirth, S. And P. De Hert, Data Protection and Privacy: The Age of Intelligent Machines, Oxford: Hart Publishing, 2017. CPDP2016 received 929 registrations! The 3 day conference offered participants 80 panels and, workshops and special sessions with 343 speakers from academia, public and private sectors and civil society, from 44 different countries. The 8th edition of the international conference Computers, Privacy and Data Protection 2015 was a great success! It was a memorable edition and we would like to thank everyone who came and contributed to this edition. 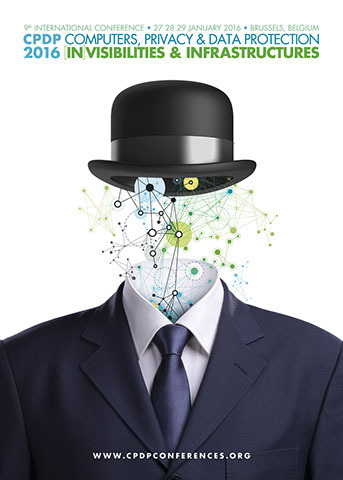 CPDP2015 received over a 1000 registrations! The 3 day conference offered participants 70 panels and, workshops and special sessions with 415 speakers from academia, public and private sectors and civil society. CPDP2014 welcomed 841 guests to the conference. Over 500 more people came to the free public events organized during the conference evenings. These events were also well attended by the regular conference participants who appreciated these more relaxed side events. The 3 day conference offered participants 60 panels and, workshops and special sessions with 343 speakers from academia, public and private sectors and civil society. CPDP2013 welcomed 650 guests to the conference. Over 1200 more people came to the free public events organized during the conference evenings. These events were also well attended by the regular conference participants who appreciated these more relaxed side events. The 3 day conference offered participants 46 panels and workshops and special sessions with 237 speakers from academia, public and private sectors and civil society. New institutions, groups and partners made themselves indispensable in helping setting up panels (the Human Technology Lab from TU Berlin, IVIR from Amsterdam University, and many others). Both the Council of Europe and the Polish Permanent Representation to the European Union provided their collaboration. CPDP2012 welcomed 692 persons at the conference. Another 500 people were reached at the free public events organized during the conference evenings. These events were also well attended by the regular conference participants who appreciated these more relaxed side events. The 3 days conference offered participants 25 panels and several workshops and special sessions with 237 speakers from the academia, the public and private sectors, and the civil society. New institutions, groups and partners turned to us to help setting up panels (the Human Technology Lab from TU Berlin, IVIR from Amsterdam University, and many others). Both the Council of Europe and the Polish Permanent Representation to the European Union provided their collaboration. ‍Our conference website reached 5698 unique visitors with 9198 visits to consult 22381 pages. Our busiest day was Tuesday 24 January, when we had 750 visitors exactly (50% more than on our last year’s busiest day) and on Monday 24 January 2011 when we had 501 visitors. 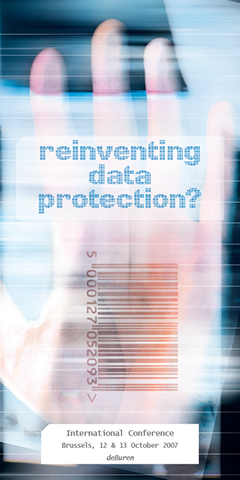 DATA PROTECTION IN A PROFILED WORLD?